There were four Senior national team members at Barebones: Patrick, Mike, Louise, Carol. Carol & Louise not only ran some races but the also were course planners - Louise for the super sprint in Whistler Village, and Carol for the WRE middle distance event at Brandywine. First I wanted to extend a large congrats on all the great training and performances we’ve read about on this blog. For those of you who don’t know me I’m Dan, currently residing in the big smoke (GTA). In this post I wanted to share what sparked my interest in orienteering, some thoughts on relocation, and a training camp that I recently attended. When I was a child I used get so much enjoyment out of going for nature walks with my father. We would walk through the forest and talk about how to best walk quietly to be able to see wildlife and what the best materials for making survival shelters are. We would make sure to not cross any of the paved paths in the park and it wasn’t until I started orienteering did the thrill of exploring new natural areas return to me. I find it very enriching to be able to run through the forest in many areas that the general public are totally unaware of. I get that same feeling that I did so many years ago every time I get out into the woods and have had to pleasure to share that with others. In the past month I’ve moved from Hamilton to Toronto for work and I’ve spent quite I bit of time thinking about the effects of relocation on training and motivation. I’ve found that relocation (if not for training purposes) can be very difficult on an athlete in terms of generating self-motivation to get out the door and finding new training partners and training venues. I found it quite difficult to self-motivate at the begining but I’ve found that getting into a routine really helps. Regaining consistency should be a primary focus of those of you who are planning on moving and don’t despair. You’ll be mentally tougher if you have to fend on your own for a bit and will only enjoy the company of training mates even more when you find some. 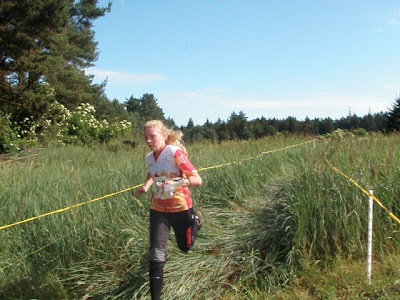 In mid-June the Toronto Orienteering Club put on a great series of training sessions to showcase the diversity of training possibilities in the city. 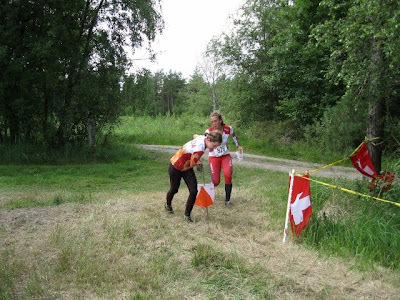 Each training session highlighted an important aspect of orienteering: using your attackpoint, taking proper compass bearings, reading ahead, and running! Suffice it to say that to sharpen all these skills required a lot of work and overall the weekend was a huge success. My favourite sessions were the sprint exercises on the Toronto islands. For those who know me know that I enjoy fast paced running and the sprint training did not disappoint. It was a blast meeting a number of fellow HPP members and see a part of the city in a whole new light. Now that I’m living in the city I plan on taking advantage of what Toronto has to offer. I highly recommend the Toronto Island sprint maps and will see you next in Ottawa for the COCs. 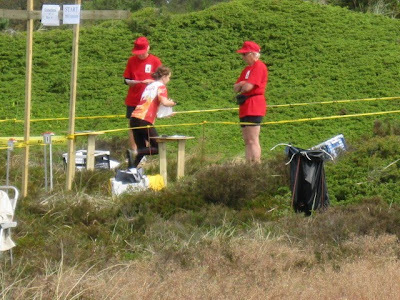 Congratulations to Damian Konotopetz, Colin Abbott, Graeme Rennie, Lee Hawkings, Emily Kemp and Emily Ross for representing Canada so well at the 2010 Junior World Orienteering Championships. And also a very special thanks to Jeff Teutsch as assistant team leader and Randy Kemp as team leader. Here are a few pictures from Team Canada as they wrap up their week in Denmark. Getting ready for the banquet! After an exciting qualifier yesterday in which Colin and Graeme squeaked into the B final by a single placing each, Damian missed the A final by one second, Lee missed the B final by seconds, and Emily Kemp qualified convincingly for the A final, it was time to lay it all on the line in the last individual race of the week, the Middle finals. Emily Ross, beating down the grass on her way to finishing the B final. Lee Hawkings running under a blue, blue Danish sky. 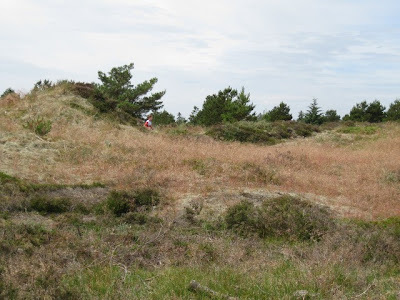 Typical Danish sand-dune terrain, fast, flat and tricky navigation. Spectator control, Emily overtaking a Norwegian! 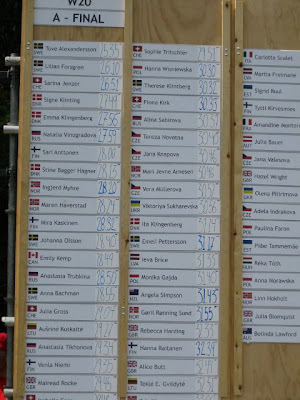 The final result in the Women's A final, 13th place for Emily Kemp! Interview with Emily Kemp at the finish of her race. All in all, it was a good day for the Canadians. Damian and Colin finished 75th and 81st respectively, Graeme was 95th, Lee was 132nd, Emily Kemp was 13th and Emily Ross was 111th. Stay tuned for an update after the Relay! Emily Kemp and Emily Ross are running with a Japanese girl. The men's team will consist of Damian, Colin and Graeme and Lee will be running with two Germans. Emily Ross, running her first JWOC race ever! Emily Kemp, pushing hard on her way to a 55th place finish. Graeme Rennie finishing the sprint. Damian getting started on a 75th place finish in the sprint. Top North American! Damian finishing the long, 90th place and top North American second day running! 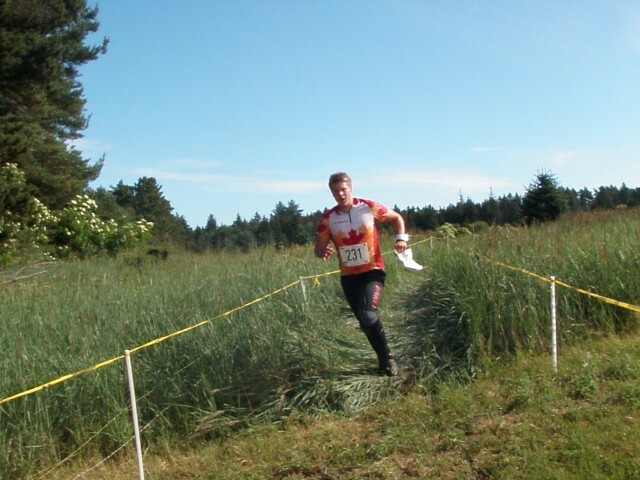 It is the eve of the North American Orienteering Championships! Nearly 500 racers have gathered in Cranbrook, British Columbia for the biannual race. Competitors will race for individual North American glory, and in the ME and WE classes, for the Bjorn Kjellstrom Cup! The model event opened yesterday. The terrain is a nice mix of fast, dry forest with some rocky footing and some areas of technical rock and contour detail. All the NAOC events have been designed to highlight the World Ranking Event athletes in M21E and W21E. Spectator controls, radio controls and race announcing will provide excitement and entertainment in the arena. To allow as many participants as possible to be able to watch these racers, 10 – 15 top ranked runners will be seeded in a “red group” that will start late. In addition to the competition for individual medals, Team Canada and Team USA will reignite their rivalry over the Bjorn Kjellstrom Cup! The Cup is awarded to either team based on results in the ME and WE classes. Points are awarded to the top 15 finishers in each of ME and WE according the following points system: 1st - 25, 2nd- 22, 3rd -19, 4th -16, 5th -13, 6th -10, 7th -9, 8th - 8, 9th - 7, 10th -6, 11th -5, 12th -4, 13th -3, 14th -2, and 15th -1. The top 3 finishers for each country in ME and WE in each of the three races is used to determine the overall points total. Points are totaled for each of the sprint, middle and long distance races. In the last 15 NAOC’s (going back to 1980 in Cleveland) Canada has won 14 times and the US (just) once. Canada has won the last 13 times. Pam James is on the trophy 11 times, Mike Waddington 6 times, Ted de St. Croix 5 times and Mark Adams 4 times! More info on the NAOC website.